Our customers in Werrington wanted a pathway from their decking area to the rear of their garden but wanted something modern and low maintenance. 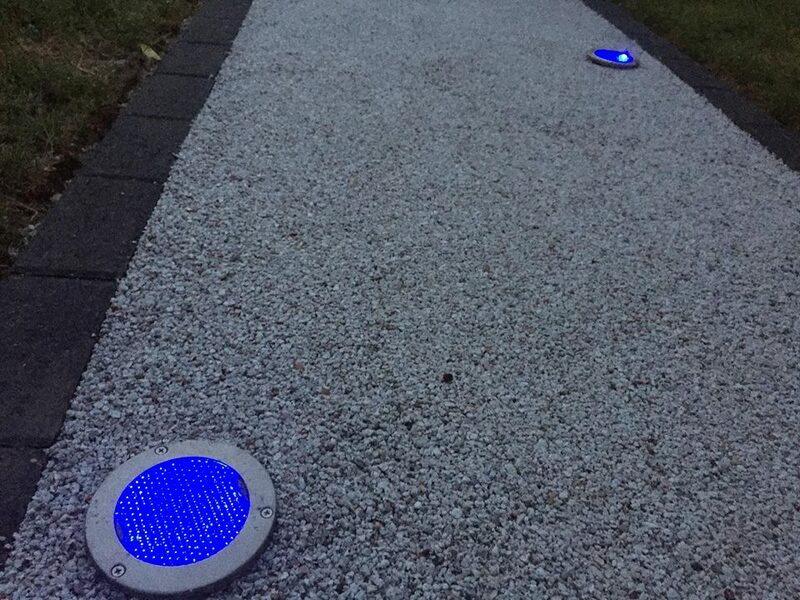 We suggested a Resin Bound pathway with solar lighting. The garden area was excavated and a new base installed ready for block edgings. Once the edgings were installed we masked off the lighting areas and the install was troweled with White Flint aggregate bound in UV resin. 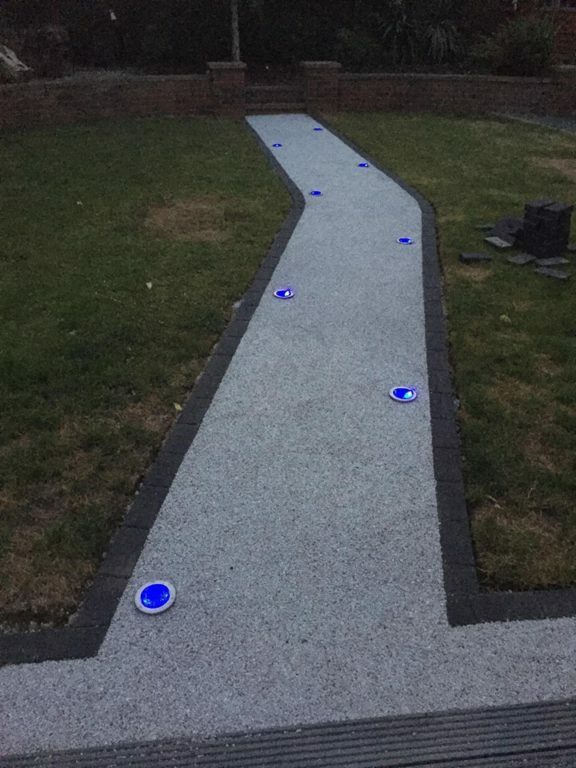 Once set the solar lights were dropped into place. The end result is a modern looking path with very little maintenance that looks great at night.